My excitement for the next level of hypercar performance is at an all-time high right now, which is weird considering we still have at least a year before we start seeing any of the new hypercars from Mercedes, McLaren and Aston Martin. But we are at the stage where we are learning a lot more about the details of these magnificent cars. 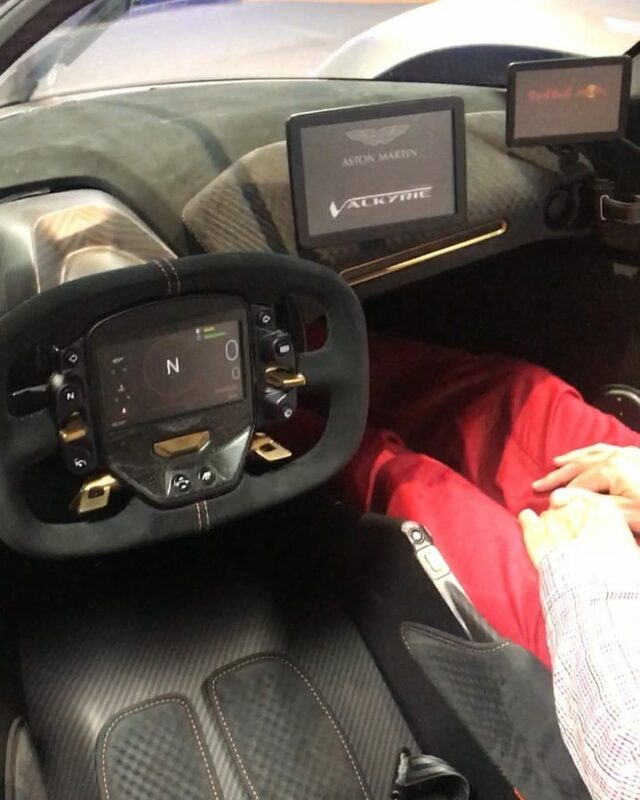 And thanks to some leaked footage we get a glimpse at both the exterior and interior of the Aston Martin Valkyrie in what could be full production trim. And let’s just say, if you were excited about this particular car already, you might need to sit down because this thing is incredible. First, I should point out how it’s no longer referred to as the AM-RB 001. Instead, it has what is arguably one of the coolest names for a production car ever, The Valkyrie. Second, if you’d like a full background on what we know about the Valkyrie, click here, and here. But a quick recap is that it will feature a naturally aspirated V12 that was tuned and built by the legendary Cosworth. It’ll also have hybrid technology sourced from the highly acclaimed Rimac Automobili company. That’s already the makings of one hell of a car. 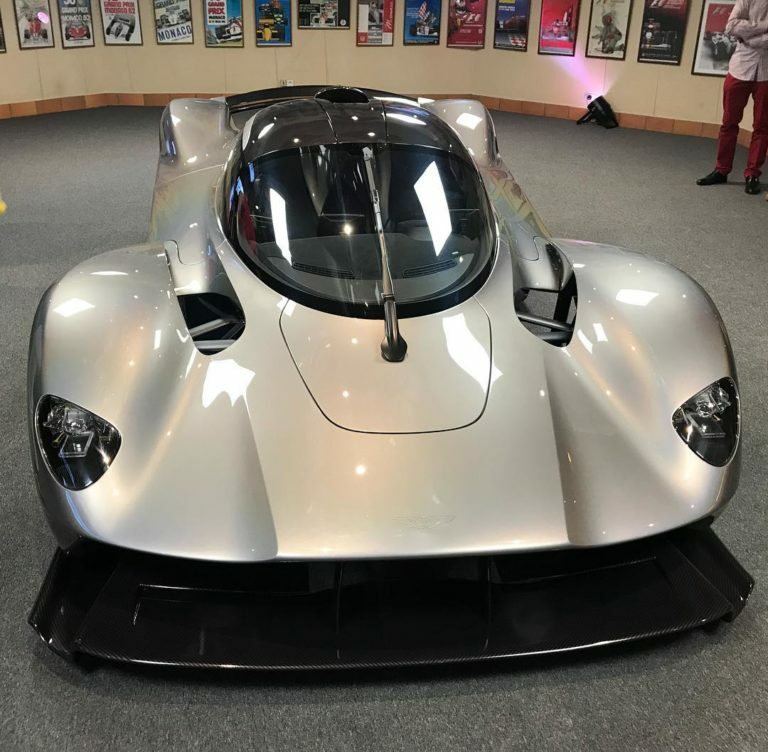 You could put that powertrain into a passenger van and it’ll still be one of the faster cars on the road, but this is Aston Martin and Red Bull Racing and they claim the Valkyrie will have the perfect One to One power-to-weight ratio. That means for every kilogram of weight there’ll be a horsepower there to move it. Exact figures haven’t been released but we know it’ll have at least 1,000hp and if that ends up being the number, that’s just 2,200lbs worth of space age aerodynamics to deal with. That will not only equate to face melting acceleration but will make a massive difference when it comes to throwing it around corners. OK, now that we’re all caught up, let’s talk about the information released in this video. You can see the Valkyrie now has headlights that resemble the same shape and design as the stickers on the concept. And while there might be more that you can decipher if you went through the video with a fine tooth comb, there are four main things you should know. Just looking at the shape of the concept model I wondered how Aston would handle the entry-exit thing, and now we know. The Valkyrie will have what looks like a variation of the old school Mercedes Gullwing doors, only smaller, a lot smaller. The video isn’t the best quality, and it’s shot in vertical format, but you can clearly see the doors are quite small. You literally would need to climb up and into this thing. Which could be viewed as both a good and bad thing depending on how you look at it. If you’re a frequent shopper at the local Big & Tall store, you might want to reconsider your choice of ultra-hypercars. Especially when you hear what’s next. You can’t help but wonder how good the interior will be on a car that’s projected to cost over $3 million, and now we can get a glimpse at the closest example of what the production car will look like. One thing you’ll notice is there aren’t any seats in the Valkyrie. Instead, it’s more of a Formula One style seat, which is more or less a fancy way of saying you sit directly on the floor of the car. To make it as comfortable as possible, there are strategically placed pads where a seat would normally be. Each car will have custom-made seat cushions perfectly molded to each owners body size and type. What that says to me, is even though it may be a huge pain to climb up and wedge yourself into this glorious machine, when you finally get in and seated it’s going to fit you like a tailor-made glove. Imagine how amazing that would feel and the connection to the car and the road. As a point of comparison, one report indicated the cabin of the Valkyrie is actually more comfortable than the current Ford GT. I realize that when you’re buying a car of this caliber, the last thing you care about is an infotainment system. But that’s because you’re thinking of a standard system, and this clearly is nothing of the sort. The Valkyrie has a total of four decent size screens in its very minimalist looking interior. Unfortunately, Aston didn’t release the exact function of each of these screens, although common sense helps you come to some logical conclusions. There is a screen located on each side of the dash, where you would expect to see your side mirrors. And considering you can’t see anything that even remotely resembles a side mirror when looking at the exterior of the car, that leads me to believe those screens will act as your mirrors. Normally, this sort of thing doesn’t really get me all riled up if I’m honest. But really there isn’t anything “normal” about the Valkyrie. 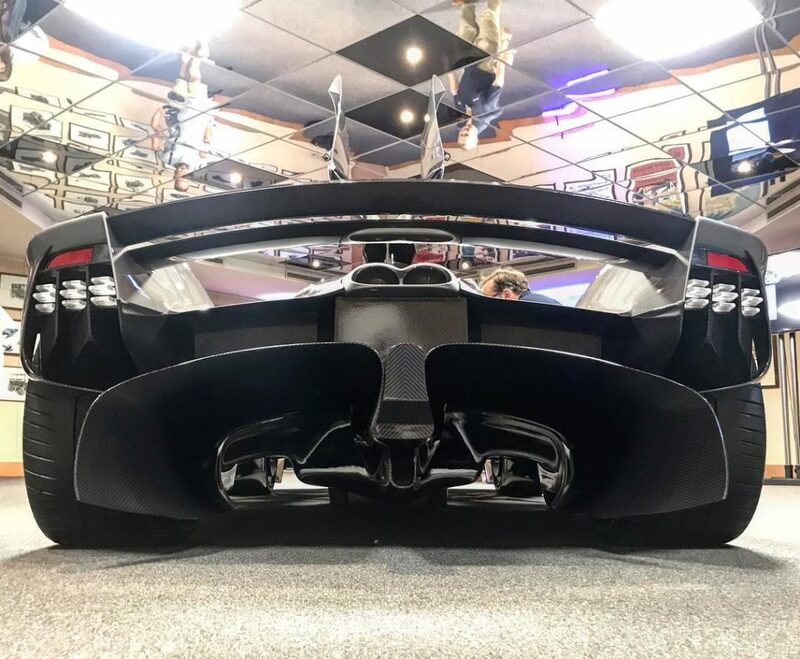 The aerodynamics were a major factor in the R&D of this next level hypercar, and that’s quite obvious just by looking at the holes, vents, flaps, wings, and overall shape of the car. It really is unlike any other car ever put on the road. If you wanted to stretch it, you could possibly argue that the Ford GT has similar “vents,” but even if that was the case, the Valkyrie takes it to another level. When I first laid eyes on the concept I was fascinated by the gaping holes you can see looking at the side of the car. If you position yourself just right, you can almost see right through it in a way. The back end looked really good, but nothing that would stop me in my tracks. However, when I saw the new rear aero on the Valkyrie shown in this video, stop in my tracks I did. Aston and Red Bull changed the whole design of the rear diffuser and now it has even bigger holes, vents, or whatever you want to call them. It looks so damn aggressive and cool that it reminds me of the giant rear diffusers that you see on actual race cars, buy yet even better. Again, I realize it may sound somewhat silly to point this particular thing out, but damn it just looks absolutely badass in my opinion, especially with the new tail lights. One more side note I had to point out was the wheels on this leaked Valkyrie. They look nothing like the ones shown on the concept, and in no way is that a bad thing. Just look, you’ll see what I mean. If you were to look at one of these things by itself, it wouldn’t necessarily be all that impressive. But yet when you combine them all together and add that to what we already know, it starts adding up to be something truly spectacular and very much a game changer. It may be far too early to tell whether the Valkyrie, Project One, or BP23, will be the new “king” of the ultra high-performance hypercar category. But there’s not a doubt in my mind that the three cars together will absolutely change the game and even the slowest one will be faster than anything else on the road. 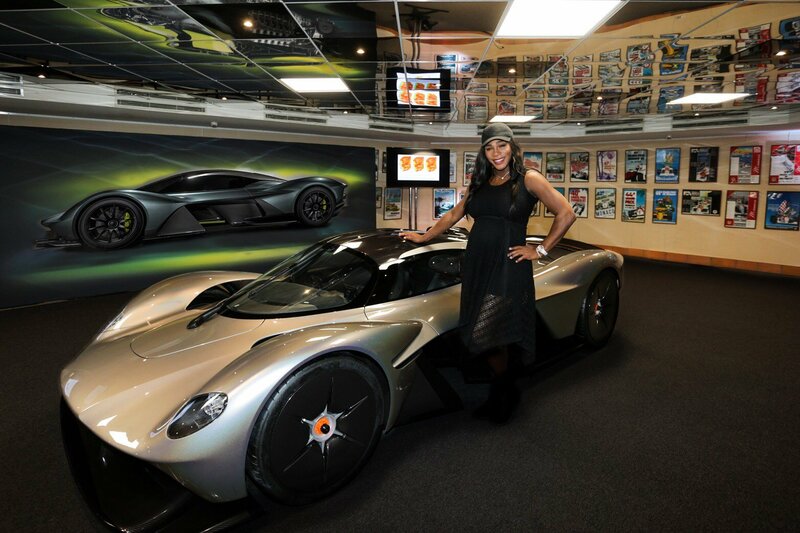 Now if we could just hear that V12 come to life. Serena Williams at a small showing in Monaco.